Set of 4 Self-tightening Propellers for DJI Phantom 1 / 2 / Vision Quadcopter. Size 9.4x4.3, The same specs as the factory props of the newest Phantom 2 Vision. Compared to the old 8045 props, the 9443 props are longer and have increased efficiency, that is why the new Phantom 2 Vision is using 9443 instead of 8045. If you have the original Phantom, you are recommended to upgrade to the 9443 carbon fiber props for increased flying time and performance. 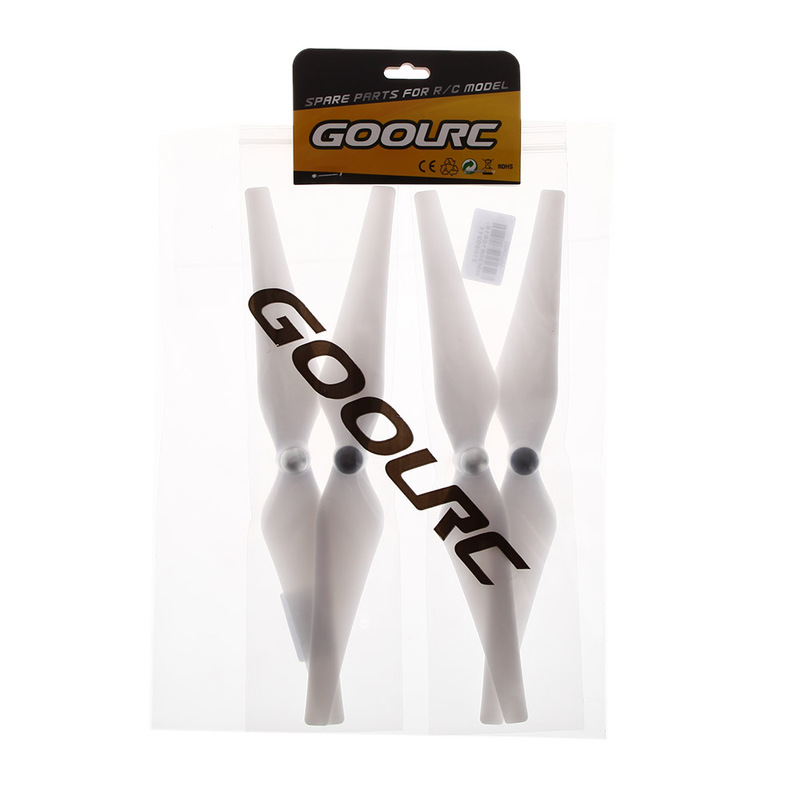 These props are self-tightening props with built in locking nuts, you do not need any locking nuts or tools, simple spin it on and fly.